As the creative and passionate force behind Ivy & Bleu Mandi Turner has had a passion for the events industry since she could talk. With a extensive customer service focused background her ability to make every bride, groom, corporate executive or party host feel comfortable and at home in her presence allows her to discover their wildest dreams and ideas and her experience in the event planning and styling industry helps her bring these ideas to life. In addition to being a full trained florist being able to engage in every element of the event planning and styling industry is a passion for Mandi and a key factor in the success of Ivy & Bleu. We chat to Mandi about her passions, styling career and all things weddings! MW: Tell us a little bit about yourself. MT: My name is Mandi Turner and I'm the Creative Director of Ivy & Bleu Events. I am a mother to 2 beautiful girls - Sophie & Alora and wife to a amazing husband Scott who has helped me grow this business from the ground up! I love what I do here at Ivy & Bleu and believe thats its not work if its something your passionate about! MW: How did you get started as a stylist? MT: I have always had a passion and natural edge (code for obsessive compulsive organisational abilities) for event planning and making things pretty and the opportunity for Ivy & Bleu (originally Supplize Decor Hire) came my way when my sister was working for the previous owner and they listed the business for sale. Knowing how much I had always wanted to take my passion further we purchased the business and with a little bit of rebranding to bring the business more in line with my own creative flare and styling and Ivy & Bleu was born! MW: What colours and colour palette combinations do you love for next 12 months? MT: Grey & gold is always my favourite and coming into spring we are pairing these with soft baby pinks and subtle shades of lavender! We change our colour palettes seasonly with deeper rich hues in winter and autumn and softer shades in the sunnier months! MW: What are your favourite new styling trends for 2016/2017? MT: Over the top florals with big flower heads - hopefully the gorgeous dinner plate dahlias make there way into Australia at some point as I see these becoming as hot on trend as peonies currently are! Gold rimmed plates & glassware - I love a gorgeous beaded charger plate however we use and see these a lot in the current wedding trends - we are currently importing some stunning simple gold rimmed charger plates and hopefully a full glass range coming into 2017! Linenware - textured linens, soft pastel napkins, ruffled tablecloths its all about colour and texture and embellishing on whats already in place like linens, cutlery & plate wares. MW: What are your five favourite styling elements to work with right now and why? 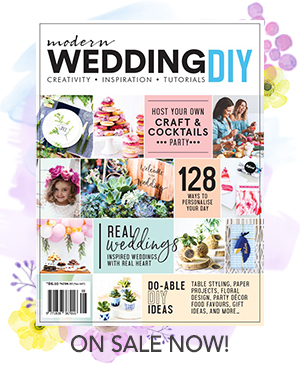 MW: What are your top 3 tips for brides wanting to create unique wedding style? Tap into your own personal style - what colours do you wear or what homewares do you lean towards? Find things that have personal meaning to you. Prioritise your budget - if you’ve always dreamed of white tiffany chairs lock these things in first - whilst they're a costly component of your styling budget you might never forgive yourself if you go ahead with a chair cover and sash just because its in included in a venue package. MW: If you were designing your own wedding, how would you style it? MT: Oh my I beg my hubby for this at least once a week! I think my floral budget would be a minimum $5000 - along the styling lines of Karen Tran - it would be long rectangular tables filled with gold rimmed plates & glassware with polished gold cutlery, hundreds of our clear vintage tealights, pedestal bowls filled with white florals, our crystal candelabras and gorgeous tablecloths & napkins. Check out more from Mandi and the Ivy & Bleu Events team on their website, Instagram and Facebook.